Knitting Around Tulsa – That's StitchTastic! Saturdays are always non stop for me, and today (really yesterday because Saturday ended 10 minutes ago) was no exception. I don’t know how I manage to do it, but I somehow end up with Saturdays full from sunup to sundown. I think a large part of it is the fact that we are a one car family, and I try to keep all of my out of the house commitments on Saturdays so weekend nights can be spent with family. While most of you were relaxing in bed at sunrise I was up and getting ready for the day. 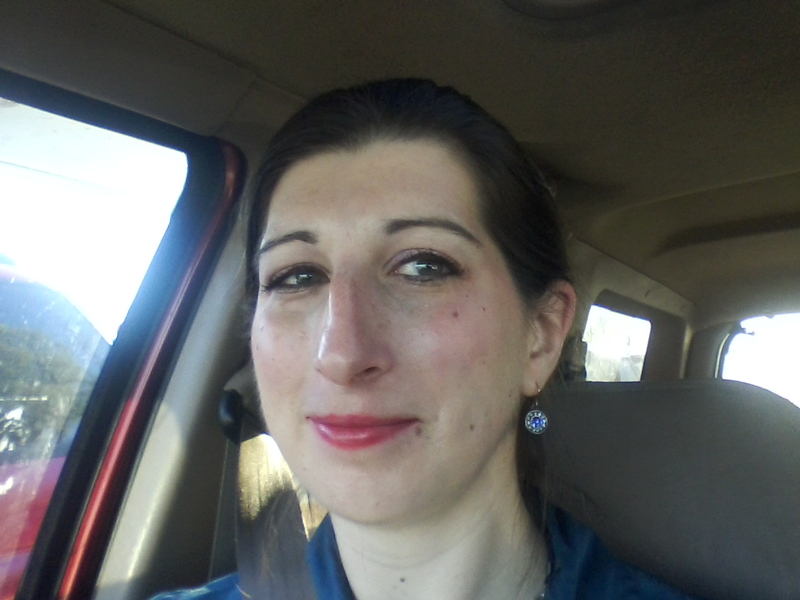 Here I am, bright eyed, and bushy tailed as I left the house this am. First on the agenda was a Homeschooling mini workshop. I of course took my knitting to work on while I listened to the speaker, but I was so interested in the speaker I forgot to take a picture. Just imagine a lap full of a notebook, pen, and a lap full of a scarf on knitting needles. I am sure you can imagine it well enough. After the workshop in the afternoon, I taught a private session at Jo-Ann’s. My student had taken one of my Knitting 101 classes, and took the scarf making class with me today. It was so neat to see how well she has done with her knitting in such a short time. She is a great student and I look forward to having her in further classes. 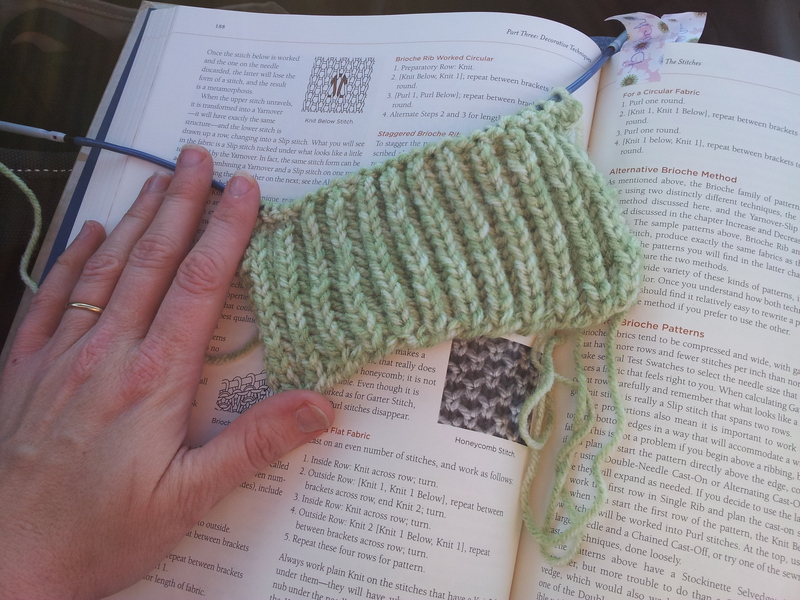 After my knitting class, it was time to relax and have some fun! My family and I went to our friend’s coffee shop for a special music night. 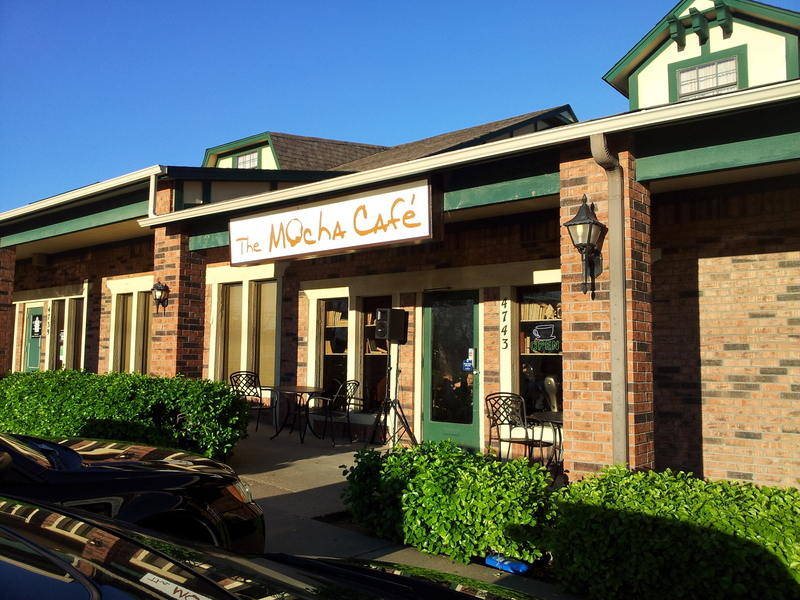 The Mocha Cafe is a quaint little coffee shop on the West Side of Tulsa that serves smoothies, coffee, and specialty drinks. It is a smaller shop, and tonight it was packed to standing room only. The room was full of friends and acquaintances old and new. 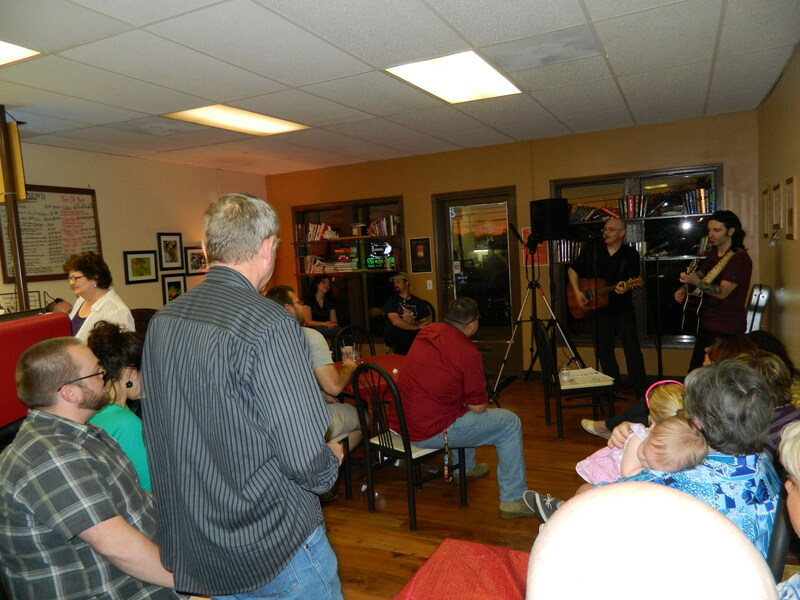 And we were all there to enjoy great coffee, and music by our friends Jesse Mole and James Korzelius, more friends of ours! After chatting a while, I worked on Ribbed Brioche samples for a class I am going to try to have this summer. 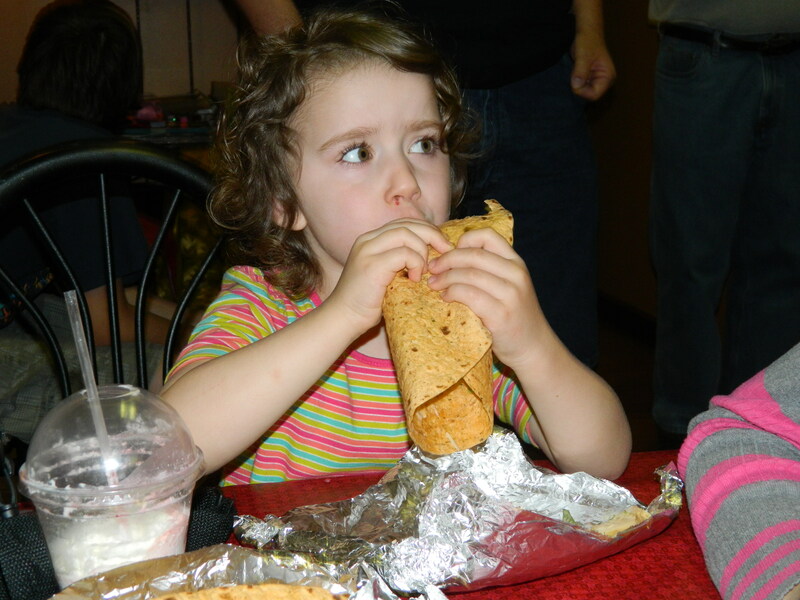 We enjoyed some great chicken wraps and specialty coffee drinks. Actually, I enjoyed the coffee drinks. My kids got fruit smoothies. Today was a lot of fun! I hope yours was as full of friends, yummy food, music, and love as mine was!